Ford pistons are identified by basic part number 6108. 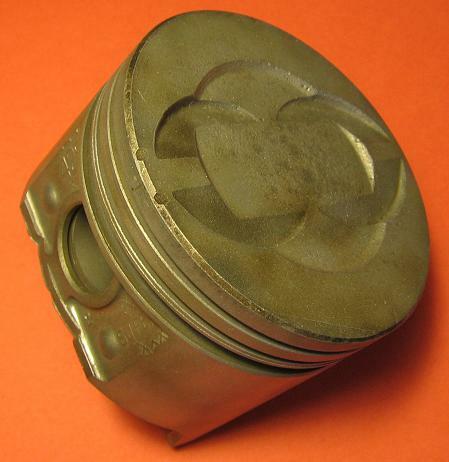 All of the pistons originally used in 428 CJ and SCJ engines were made of cast aluminum. Don't believe the myths; Ford did not use forged pistons in these engines. Ford specified several different pistons depending on actual bore size (to account for differences in manufacturing and machining tolerances) and the engine assembly date (including a corresponding crankshaft change). There also appears to have been two running changes made during production, producing three different piston generations. The wrist pin bosses on the second and third generation pistons received additional reinforcing metal, which probably accounts for the bulk of the added weight. Note the valve reliefs in the piston dome. With reliefs cut into each side of the dome the CJ piston can be mounted in either cylinder bank. Did 428 CJ and SCJ engines use different pistons? According to Ford's Master Parts catalog, they did. Different service part numbers were used for each application. However, the difference appears to be a matter of getting a more appropriate fit in the bore and not a design difference. There's an old rumor flying around about 428 SCJ engines using forged aluminum pistons while 428 CJ engines used cast pistons. As noted above, don't believe it. 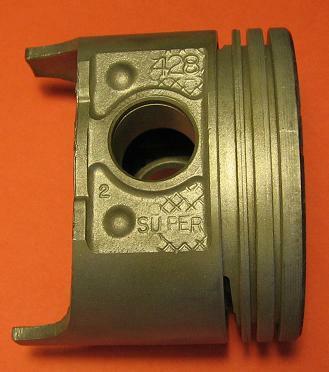 The third generation CJ pistons are typically marked "SUPER". 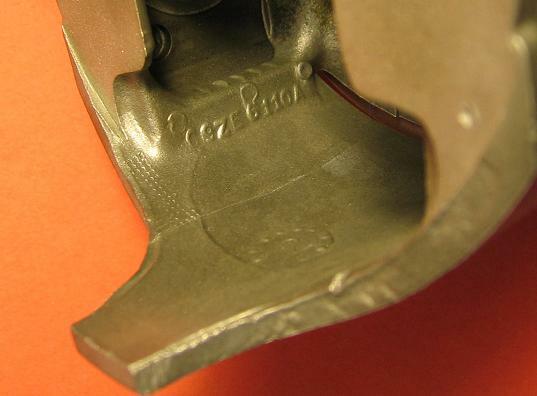 Note that the "SUPER" mark does not imply that the pistons were specific to the Super Cobra jet engine. CJ pistons were also marked "SUPER". See the picture below. Ford described standard pistons in "red" and "blue" bore sizes to better fit pistons within cylinder bore manufacturing and machining tolerances. The cylinder grades were color-coded on the block, allowing an engine assembler to select better-fitting pistons. I'm not sure of the exact bore ranges for red vs. blue pistons so please clue me in if you can clear that up. Ford pistons typically include an engineering number inside the body of the piston. Here's one example, C9ZE6110A.